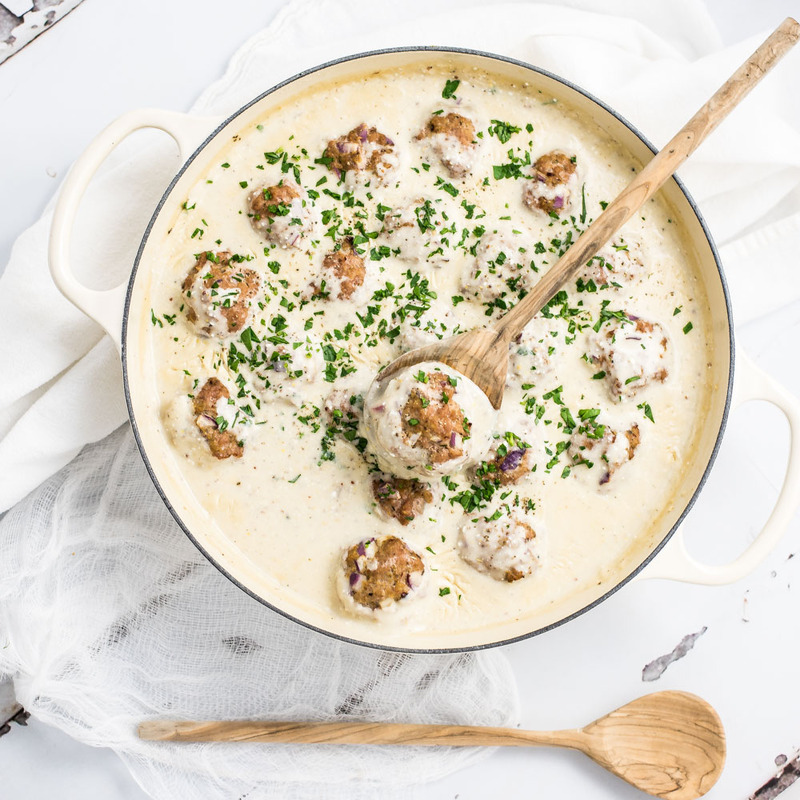 Light Almond Chicken Meatballs in Cauliflower Cream Sauce is a family-friendly weeknight meal that packs a lot of flavor, yet stays on the lighter side! 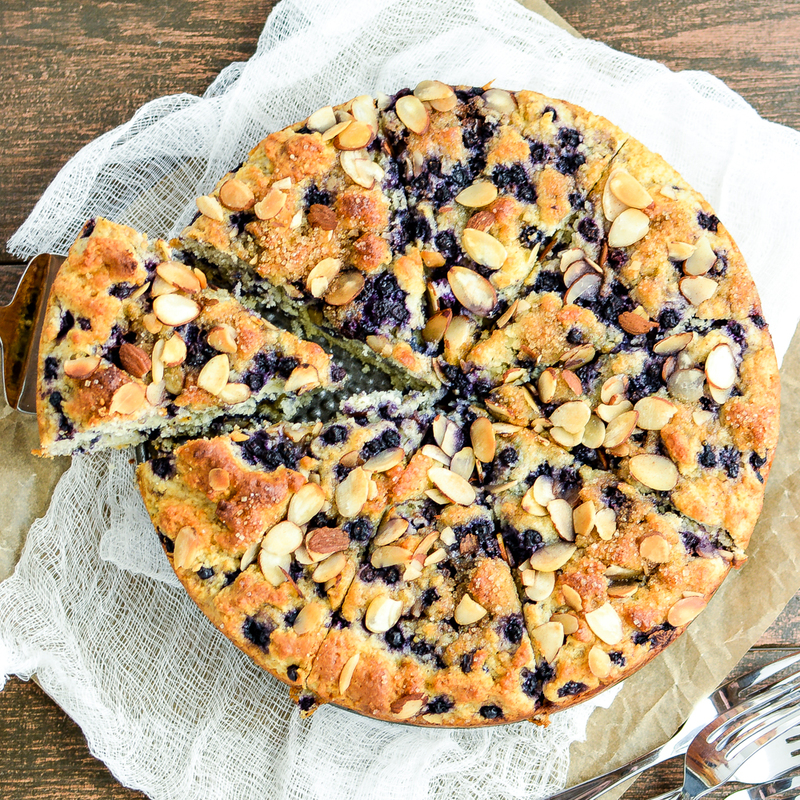 Gluten Free Almond Blueberry Coffee Cake is the perfect breakfast treat to serve with your morning cup of coffee! 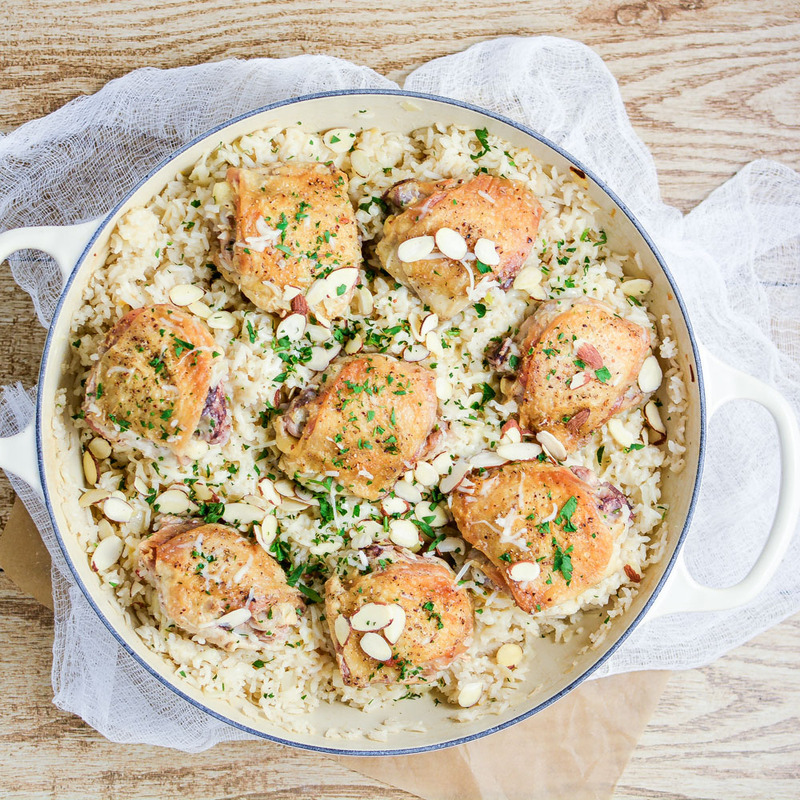 One Pot Almond Chicken and Rice is cheesy, flavorful, and loaded with almond! It's quick and simple, thus making it the perfect weeknight meal! 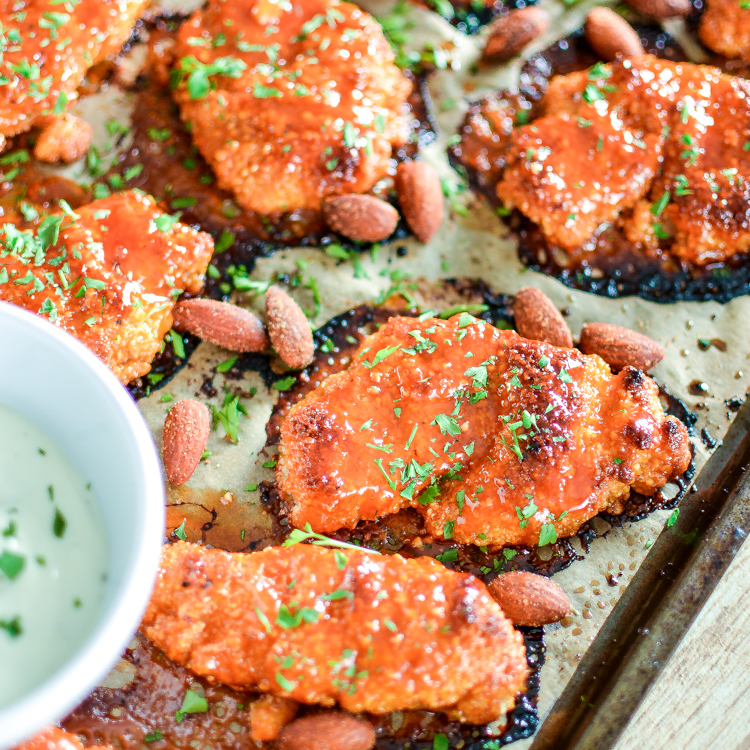 Almond-Crusted Sweet and Spicy Chicken Strips are a family-friendly recipe that is sure to please even the pickiest of eaters! 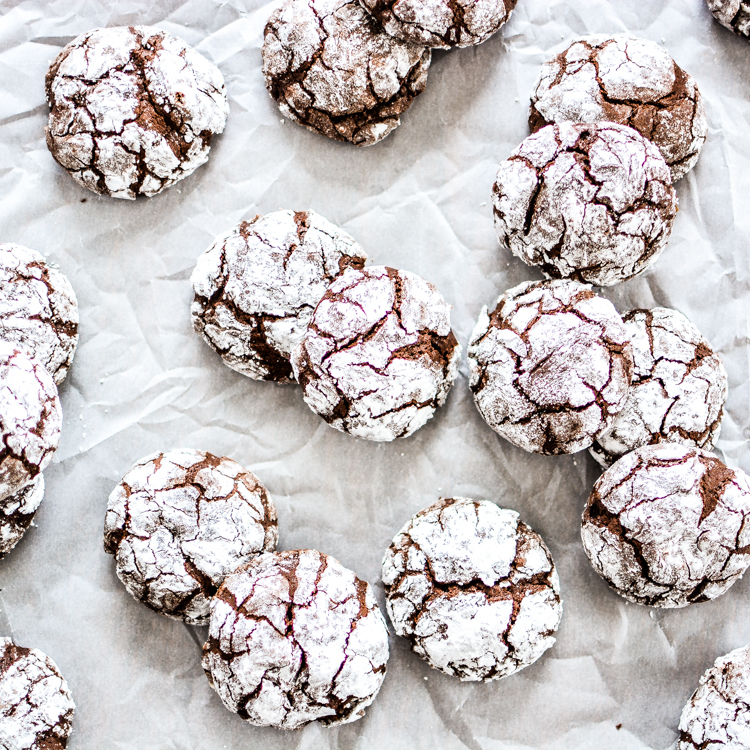 Orange, Almond and Dark Chocolate Crinkle Cookies: an easy, delicious, totally satisfying holiday cookie to add to your baking menu this year!